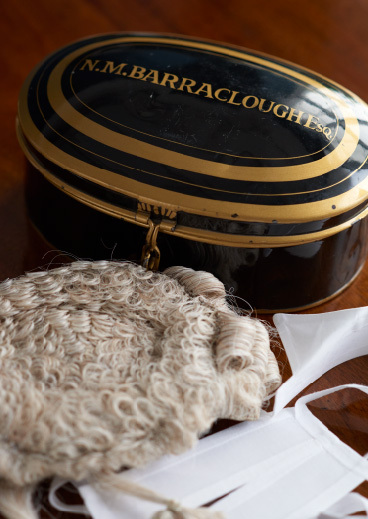 Nick Barraclough LLB (Hons) is an experienced trial barrister. He was called to the Bar by the Inner Temple in 1990, since when he has established himself as one of London’s leading criminal barristers. Nick has a wide ranging private practice but still undertakes some legal aid work. He is registered with the Bar Council to accept direct access (public access) instructions, is an accredited Pupil Supervisor (qualified to train barristers) and is recommended as a leading barrister by the Legal 500 directory. He specialises in representing people who are accused of doing something wrong, whether the proceedings involve a criminal court or other tribunal such as a sports or regulatory board. The bulk of his practice involves defending those accused of very serious misconduct such as serious fraud or homicide, but he also conducts private cases in less serious cases, such as driving offences, theft and assault. He is a member of the chambers of William Clegg QC at 2 Bedford Row which is described as “One of the best, if not the single best criminal set in the UK” (Legal 500) and “The outstanding criminal set” (Chambers& Partners Legal Directory). When not working, Nick tries to find time to spend with his family, and also enjoys playing and watching most sports, particularly football, rugby (ex member of Honourable Artillery Company Rugby Club), cricket (assists with coaching at a Surrey Premier League Cricket Club), long distance running (especially with Rafa, the family Catalan Sheepdog), tennis and golf. He also writes novels and aspires to be published.